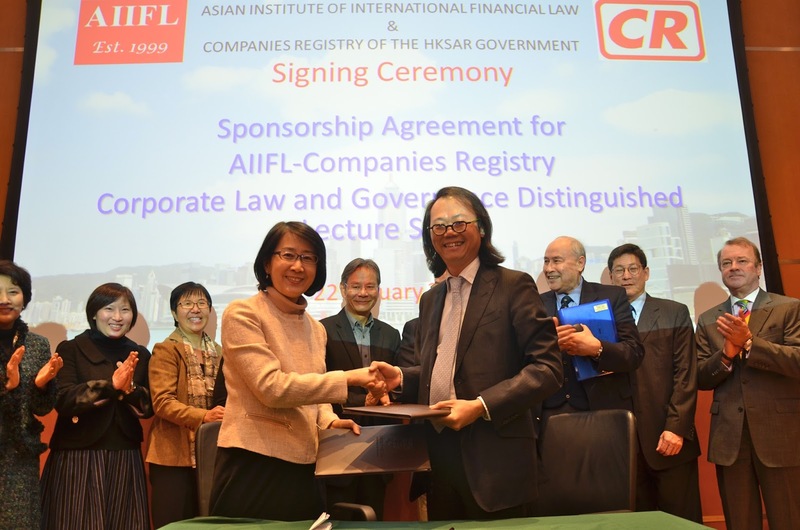 The Asian Institute of International Financial Law (AIIFL) and Companies Registry (CR) recently signed a landmark agreement for sponsorship of the AIIFL-CR Distinguished Visiting Professorship and Corporate Law and Governance Lecture Series. The sponsorship will bring to AIIFL world renowned corporate law scholars to collaborate with members of AIIFL and to deliver cutting edge lectures on Corporate Law and Corporate Governance issues that are pertinent to Hong Kong and the world. AIIFL has over the years collaborated with the Companies Registry. The agreement marks the beginning of another era of collaboration and co-operation.